Patella: Memoization into memcached via resque. Woot! 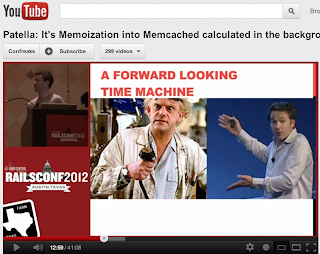 The video of my RailsConf talk is up on Confreaks. Happily PLM is actually using the patella gem in production now too, so you can go check that out too. In unrelated news I'm going to be checking into Demosthenes School for Mumblers.